First came a deafening shot. Then, police in riot gear charged into the crowd, shoving and pushing protesters back. But Hamid Shafeeu and his friends did not run. They were arrested in front of Minivan News journalists. Now a police officer has sworn Hamid threw bottles and stones at the riot police. Some 193 protesters were arrested on May 1 when violent clashes broke out after a historic antigovernment protest. Scores were injured. Protesters threw glass and plastic bottles, lead balls and rocks. Police used tear gas, pepper spray, stun grenades and made indiscriminate arrests. The next day, the criminal court granted a blanket 15-day remand for 173 of the 193 detainees. Hamid was held in police custody for 15 days in cramped conditions, and then transferred to house arrest for five days. He was released only today. The high court, relying on police statements, previously rejected an appeal contesting the detention. The 39-year-old businessman says he believes police are providing false testimony to jail him because of his vocal criticism of the government on Twitter. Many others who were arrested at random or arrested for simply going to the protest now say police officers have accused them of assault. The initial charges of disobedience to order carries a MVR3000 fine or six months in jail or house arrest or banishment, but attacking a police officer carries a MVR12, 000 fine and six months in jail. It is not yet clear if the prosecutor general will file charges. A police spokesperson has denied allegations of false testimony, but lawyers who have represented individuals arrested from past protests say the police routinely lie to keep dissidents in custody. Others have supported the claim, with the former chair of the police integrity watchdog saying several officers lied in the investigation into the transfer of power in February 7, 2012, and the brutal crackdown on protesters the next day. A former policeman, meanwhile, said false testimony is indicative of the politicization of the force and the impunity riot police hold as very few are penalized for unlawful activities. 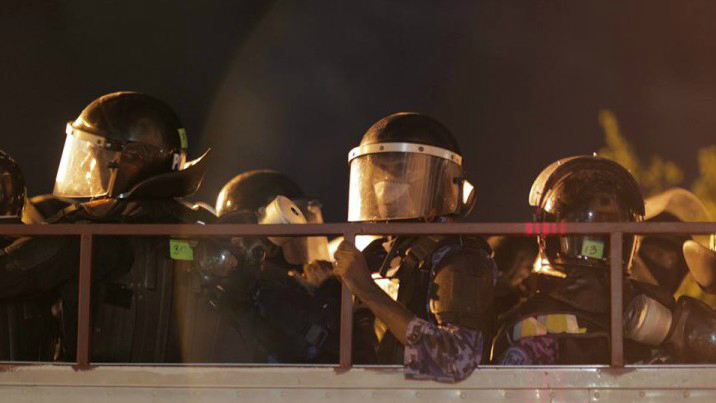 The riot police, known as Specialist Operations or SO officers, were created by former president Maumoon Abdul Gayoom to quell pro-democracy protests in the mid 2000s. The hostility between SO officers and protesters continues to this day. May Day detainees have reported verbal and physical abuse, while several individuals arrested on suspicion of assaulting a police officer on May Day said police cheered on as others beat them at the headquarters and threatened to kill them. The police, however, have denied brutality and urged any victims to file complaints with oversight bodies. 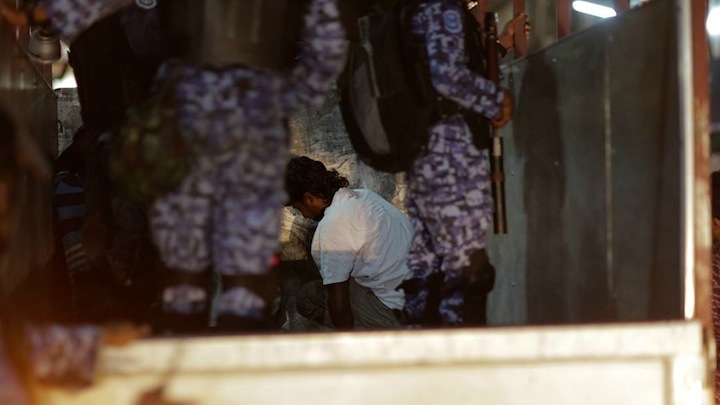 Blogger Yameen Rasheed’s arrest was caught on camera. He was picked up on Chaandhanee Magu with several others at about 9pm, but the police are now accused him of throwing rocks and have placed him under house arrest. Yameen says he was walking to the Somerset Hotel in the area to meet a foreign journalist at the time of his arrest. The Indian reporter corroborates Yameen’s account. @SabraNoordeen They picked @yaamyn up right from my hotel’s doorstep. We were to catch up for dinner! Ahmed Naeem, a 25-year-old political science student, was arrested when he reportedly stepped in front of a police van. Of the 193 detainees, he is the only one remaining in police custody. Lawyers say the police are now accusing him of breaking the van’s windows. According to his cellmates, police beat Ahmed severely at the time of his arrest, and his face was bruised and swollen for days. Judges can only hold people in custody if further interrogation is needed, or if they are a danger to society, or if they may influence witnesses. But lawyers claims judges remand dissidents for long periods of time to intimidate and harass them. The criminal court often holds protesters in custody for lengthier periods than those arrested for violent crimes, including murder, they said. Lawyer Abdulla Haseen, who represented a close aide of ex-president Nasheed following her arrest from a protest in July 2012, said the police claimed in court that they had witnessed her throwing rocks. But Shauna Aminath’s arrest, which was broadcast live on television, showed the police drag her away without any provocation. “An individual can be held in remand for a month, two months. Judges must verify and check police’s claims before approving long remands. Who will bear responsibility for all those lost weeks?” Haseen said. She said the squad must be disbanded and punished for unlawful behavior. She urged judges to verify police claims with photos and videos or statements by unbiased witnesses before approving requests for lengthy detentions. In October, SO officers were accused of cutting down all of Malé City’s Areca palms. In January, they were accused of planting weapons at the ex-defence minister Mohamed Nazim’s apartment. The retired colonel was sentenced to 11 years in prison based on anonymized witness statements, which Nazim’s lawyers argue, were fabricated. The prosecutor general’s office said it has not received complaints of false testimony by police or noticed any attempts at framing individuals. He, too, supported disbanding the SO, saying they regard routine police work as outside their duties. Faseeh had said the same in his statement. The ex-officer said maintaining public order or riot control must be integrated into regular policing: “That way officers get to work together with people every day and will be more sensitive towards rights,” he said. 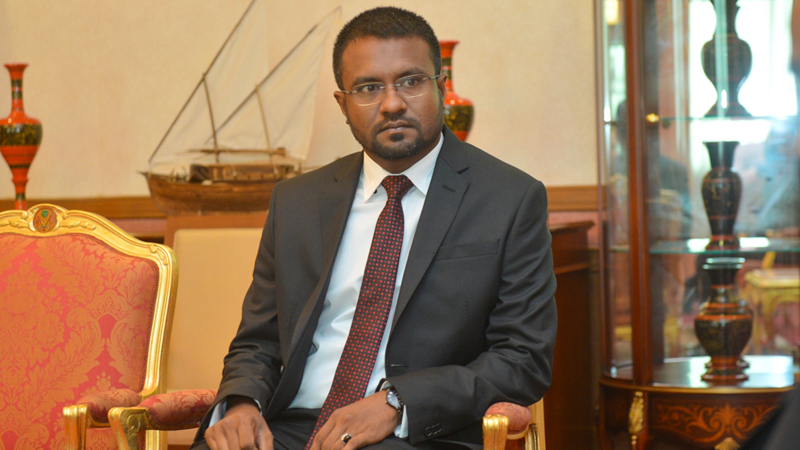 Prosecutor General Muhthaz Muhsin says he will press charges against 30 of the 193 protesters arrested from a mass antigovernment protest on May 1. “Out of the 128 cases we accepted from the police, we’ve forwarded around 98 cases to the committee on reviewing first time offenders. That means we will press charges against only about 30 people. That includes repeated offenders and the people suspected of attacking police officers at the protest,” he said. 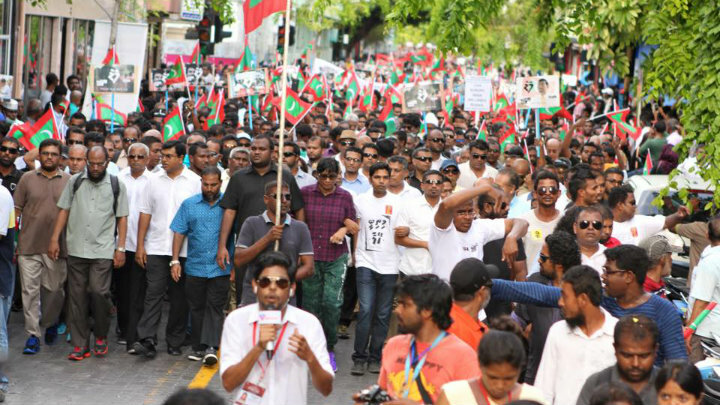 Over 20,000 opposition supporters took to the streets on May 1 over the imprisonment of ex-president Mohamed Nasheed and ex-defence minister Mohamed Nazim. 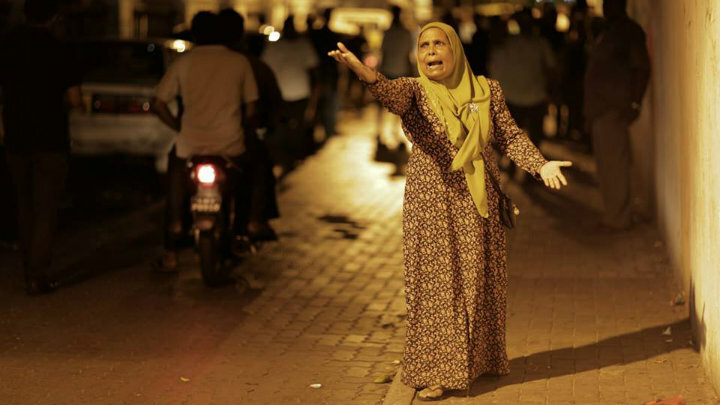 Police cracked down on protesters at dusk when they attempted to enter Malé’s restricted Republic Square. Nearly 200 were arrested and scores were injured, including two police officers. Muhsin at a press briefing today said his office will uphold the rights of the accused, but said he had noticed protesters were committing serious crimes at the opposition’s demonstrations. “Article 32 of the constitution guarantees the right to peaceful assembly. The law does not allow attacking and inciting violence against law enforcement agencies, and causing terror in society. This is terrorism under Maldivian law,” he said. Muhsin warned of harsh penalties for individuals who commit such acts and advised political parties to refrain from encouraging terrorism. Charges against protesters at present range from disobedience to order to assaulting police officers. Muhsin also said public prosecutors are looking at charging individuals over libel and slander following allegations by recent defectors from the ruling coalition accusing President Abdulla Yameen and tourism minister Ahmed Adeeb of links with the brutal murder of MP Afrasheem Ali in 2012. The ex police chief Abdulla Riyaz was summoned to the police last week over comments he had made in an interview with opposition aligned Raajje TV on Afrasheem’s death and the torching of the station in 2013. The criminal court in March imposed such conditions on dozens of protesters. MP Ahmed Mahloof spent weeks in police custody and house arrest when he refused the criminal court’s conditions to stay away from protests. 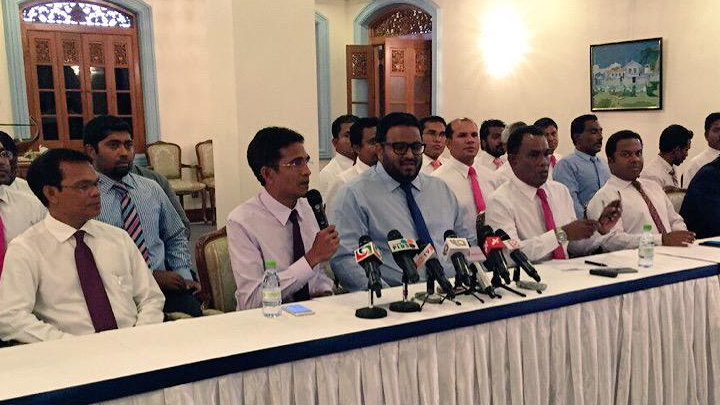 The high court brought the practice to an end when Mahloof appealed the criminal court’s ruling. Muhsin also dismissed the opposition’s claim that the police is now imposing restrictions on freedom of assembly, by requiring prior permission for protests and banning the use of four wheeled vehicles in protests without prior notice. “I don’t believe the right to protest has been narrowed in Maldives. 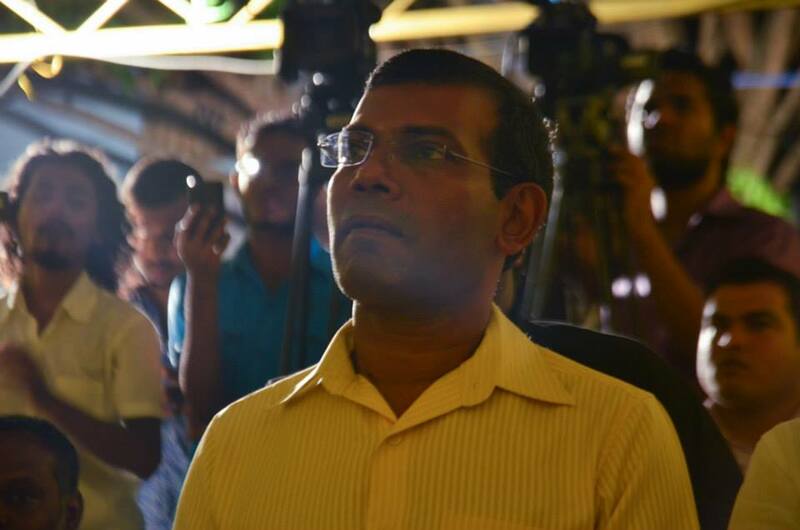 I believe the right to protest and freedom of assembly is much wider in Maldives compared to other countries, to the extent that we eventually end up violating rights of others,” he said. The opposition has criticized Muhsin over the rushed trial of ex-president Mohamed Nasheed on terrorism charges and for accepting a discounted luxury flat by the government. The flats were also given to the five Supreme Court judges, and several heads of independent institutions. State-owned companies and the government have dismissed a dozen employees for participating in the May Day anti-government demonstration. The opposition ‘Maldivians against tyranny’ alliance revealed today that the utility company Fenaka Corporation has fired six employees and the aviation command has fired four employees. The State Electricity Company has also sacked some employees. Approximately 20,000 protesters took to the streets of the capital on May 1 in the largest anti-government rally in over a decade. Adhaalath Party council member Shidhatha Shareef told the press that the opposition alliance has launched a hotline (9111388) to assist unfairly dismissed staff. Former State Trading Organisation managing director Adam Azim said the constitution guarantees freedom of expression and the right to participate in political activities and called on independent institutions to fulfil their responsibilities. Main opposition Maldivian Democratic Party council member Hussain Amr said the opposition parties will arrange employment for the sacked staff. The dismissals follow ruling party MP Ahmed Nihan urging the government to track down civil servants and employees of state-owned companies who had participated in the protest and dismiss them immediately.